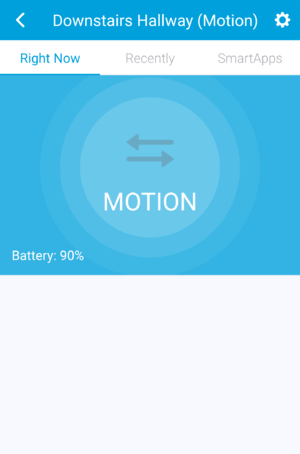 The GE Z-Wave Plus Portable Smart Motion Sensor (Model 34193) is a GE developed motion sensor that can be used within SmartThings to control actions based on movement. This document outlines the installation and usage of this custom DTH (Device Type Handler). Click the Raw link, and then select all of the code (CTRL+A), and then copy it (CTRL+C) to your computer’s clipboard. 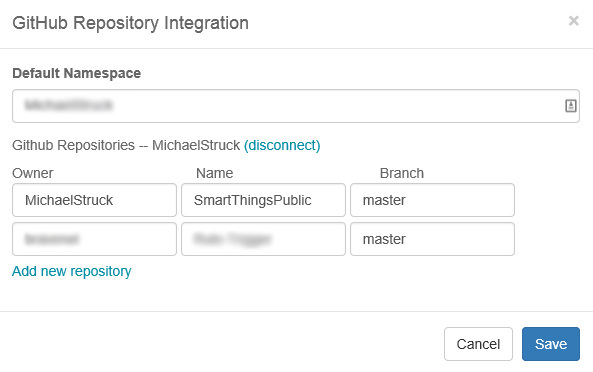 Then go to the SmartThings IDE at http://ide.smartthings.com. Log into the site and proceed to the link at the top labeled My Device Types. Click on this link. This will present you with a list of custom device types that you may have within your account. 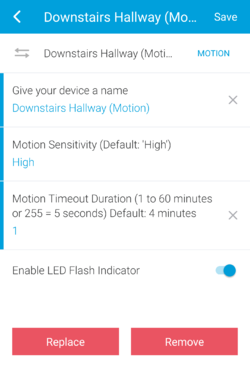 If you do not yet have the GE Z-Wave Motion Sensor Dimmer Switch listed, click the link +New Device Type in the upper right-hand corner of the screen. There will be three tabs at the top, which represent the different ways to add a device. Choose From Code and you will be presented an empty area where the code you copied earlier can be placed. In the open area in the middle paste (CTRL+V) this code. From here, simply Save and Publish this code. you can add multiple Z-Wave Motion Sensors as long as this code is in place. 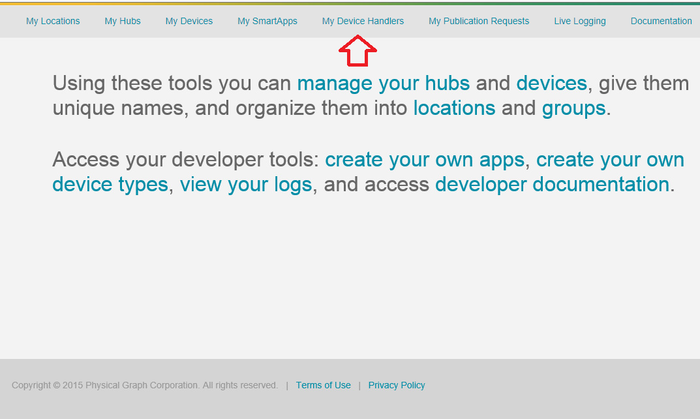 You can now go through the normal process of adding devices to SmartThings. Once you have integration, the code you might need will be available to you to download and keep in sync with the latest versions. Click the Execute Update in the bottom-right corner of the screen. When done syncing, the new device handler should now appear in your IDE. If they ever change color, that indicates a new version is available. Name This is the name of the sendor that will be seen by other applications and SmartThings. of whether you have set them within the Settings area. or if you press the button on the back of the device. Moition Timeout Duration This is the amount of time after motion stops that the device will report out that the motion has stopped. This is a numeric entry between 1 and 60. Each number represents the number of minutes to delay after seeing motion to revert back to no motion. The default is 4 minutes. Entering 255 sets the duration to only 5 seconds. Enable LED Flash Indicator This will enable or disable the red LED when motion is sensed. The default is off. The interface for the DTH is rather straight forward and is consistent with other SmartThings devices. The main difference is that the battery level is shown within the top area. To modify the settings, click the gear icon in the upper-right hand corner of the screen. When you are done editing the setting, click the button on your motion sensor. A blue light should flash on the sensor, then click 'Save' in the upper-right hand corner DTH interface. The settings should update within a few minutes. This page was last edited on 30 September 2018, at 17:20.